Texas leads the country in wind-energy production. Starting in the '90s, the state and federal governments set up subsidies to encourage wind farms. Local communities also offered tax breaks. Most crucially, Texas built out transmission lines from windy parts of the state to urban centers like Dallas and Houston. That meant the electricity generated in the West could move across the state. Jeffrey Clark, director of the Advanced Power Alliance, says efforts to cut incentives and subsidies for renewable energy in Texas are "unprecedented." Clark says the push against renewable energy started about a year ago when the Texas Public Policy Foundation, an influential conservative think tank, started traveling around the state talking to residents who didn't like wind and solar farms in their communities. “I’ve recently been called a NIMBY,” George Clay told the House State Affairs Committee last week, using the acronym for the phrase "not in my back yard." “Well, I’ll wear that badge proudly," the Bowie landowner continued. Rhodes says renewable-energy supporters don't point out that wind and solar are needed to fight global warming because the argument doesn’t win any points at the Capitol. "If you can win your arguments based on price and efficiency, for some people, that's just going to be better received than talking about climate change." 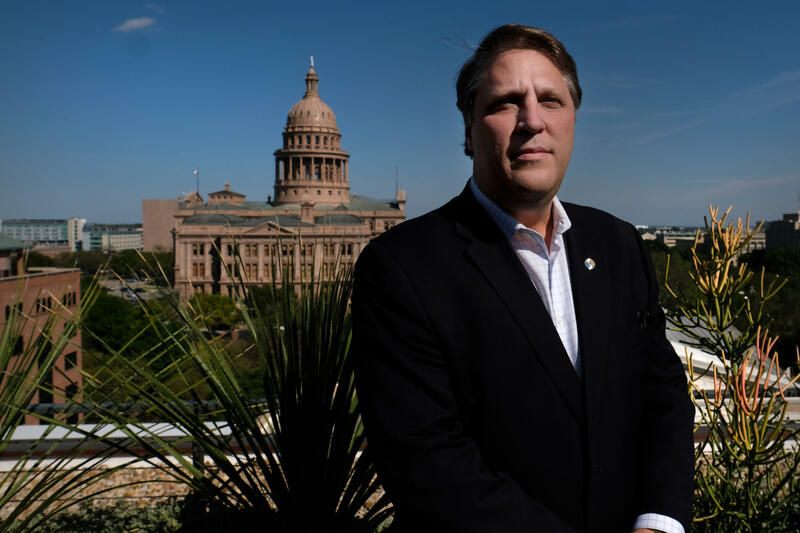 Critics say positions like that show TPPF is basically an arm of the fossil fuel industry – that the group takes money from oil companies, then works to advance the industries' interests at the Texas Capitol. TPPF’s status as a 501(c)(3) means it doesn't need to disclose donors. About eight years ago, however, a document was accidently made public and published by the Texas Observer showing TPPF accepted a lot of money from fossil fuel companies like Koch Industries and Exxon Mobil. “In Texas, we still get just 19 percent of our power from wind, just 1 percent from solar," Cohan says. "There are other states, like Iowa, that are up around 40 percent."